It will no doubt be argued by some that Judge John Murphy has transgressed the judicial boundaries in making far-reaching findings in the case brought by civil society group, Freedom under Law, in the Richard Mdluli saga. Not only did the judge order that the decisions not to prosecute Mdluli for murder and associated charges, as well as fraud and corruption, and to terminate the disciplinary proceedings and revoke his suspension, be set aside, he ordered that these various charges be reinstated forthwith, and prosecuted diligently and without delay. Judge Murphy delivered a detailed, reasoned judgment within two weeks of hearing the matter, an example many of his colleagues on the bench would do well to follow. 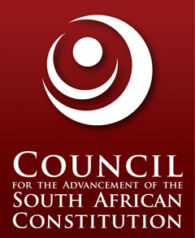 Whilst the case raises critical issues about the separation of powers under our constitutional democracy, the factual findings lay bare a grim picture of the extent to which those tasked with the responsibility to uphold law and order have bent over backwards to protect a high profile and seemingly influential figure such as the former Head of Crime Intelligence in the SAPS. The case lists among its respondents the Acting NDPP, the head of the Special Commercial Crimes Unit, the National Police Commissioner and the Minister of Police. The Constitution confers on the NPA the power to institute criminal prosecutions on behalf of the state and enjoins it to exercise this power without fear, favour or prejudice. This is a broad and weighty power but not an unrestrained one. The court rejected the argument that the power to review prosecution decisions vested solely in the NDPP. Judge Murphy ruled that the decisions of the National Prosecuting Authority (NPA) are not immune from judicial review even though the Promotion of Administrative justice Act (PAJA) specifically excludes from its purview decisions to institute or continue a prosecution. Murphy found that decisions not to prosecute or to continue a prosecution are reviewable under PAJA as well as on the basis of legality or rationality. Those wielding public power must do so in a manner that is transparent, reasonable, lawful and accountable. Under the Prosecutions Policy which guides the functioning of the NPA, once there is sufficient evidence indicating reasonable prospects for a conviction, a prosecution should follow unless the public interest demands otherwise. In this case the public interest would appear to demand that a senior police officer charged with serious offences such as murder, kidnapping, fraud and corruption should be prosecuted. Murphy ruled that Lawrence Mrwebi did not possess the power to withdraw the fraud and corruption charges without the concurrence of the Director of Public Prosecutions for North Gauteng, and that he did not secure such agreement. Mrwebi’s decision flagrantly violated the Prosecution Policy and was unlawful. prima facie case against Mdluli’. He also stressed that an inquest is not an appropriate forum to determine the culpability of any person; it is an investigative process aimed at determining the cause of death – there was no dispute that Ramogibe had been shot! The inquest was also restricted to looking at the issue of murder and could therefore not be relied upon to justify the decision to quash the 17 associated charges of attempted murder, assault, kidnapping etc. The Acting Police Commissioner Nhlanhla Mkhwanazi had informed Parliament that he took the decision to withdraw the disciplinary charges against Mdluli in February 2012 on instructions from authorities or persons ‘beyond him’. Despite the hackneyed protestations by National Commissioner, Riah Phiyega that Mkhwanazi was ‘quoted out of context’ no evidence to this effect was proffered. Whilst Mkhwanazi did not disclose who exactly instructed him, we should perhaps commend him for exposing the fact that hidden hands and hidden agendas exist in the upper reaches of the criminal justice system. Murphy however castigates Mkhwanazi for succumbing to this pressure and failing to protect the integrity of SAPS. The case therefore constitutes an embarrassing defeat for the NPA and the SAPS. That the judgment of Murphy will be appealed will surprise no one because if it stands it may have grave consequences for President Zuma in his quest to now avoid ‘having his day in court’. Regardless of the outcome of any appeal there are some inescapable conclusions to be drawn from the case. Firstly the improper interference of unknown persons in the functioning of SAPS does not bode well for the shiny new Hawks unit which has been seeking to persuade the Cape High Court that it is insulated from undue political influence under the amended SAPS Act. Mkhwanazi’s experience will expose the porous Chinese walls that SAPS has been seeking to build around the Hawks. Secondly, Glynnis Breytenbach will now feel vindicated having consistently maintained that she was suspended and faced disciplinary charges in order to prevent her from pursuing the fraud and corruption charges against Mdluli. Thirdly, Murphy was scathing in his criticism of the manner in which the Acting NDPP, Nomgcobo Jiba and Mrwebi managed the case – he was moved to state: “The attitude of the respondents signals a troubling lack of appreciation of the constitutional ethos and principles underpinning the offices they hold”. Their dilatory and less than co-operative attitude towards the court in this case comes close to contempt of court; directions from the Deputy Judge President were ignored and flouted, affidavits were filed months late, and full information was not disclosed to the court. It is now clear that neither Jiba nor Mrwebi are fit and proper persons to hold office in the NPA. The newly appointed NDPP, Mxolisi Nxasana, assumes office on 1 October – it he is to succeed in restoring the credibility of the NPA, there needs to be a clear-out of those bringing the NPA into disrepute – as a start steps should be instituted to remove Jiba and Mrwebi from office.